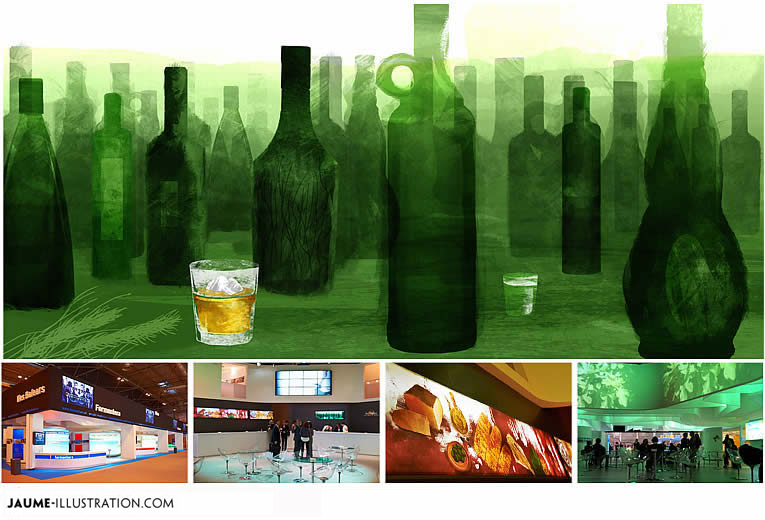 Drinks photoshop acrylics institutional Art for Balearic Islands Government booth at 2011 Fitur (Madrid) WTM (London) and ITB (Berlin). 4mt wide wallprint illustrations depicting typical gastronomy products from Majorca, Minorca, Ibiza, and Formentera. Palo, Gin, Herbes, etc.